Now that we are beyond the July 4th holiday, we have hit the midway point of the summer season, and while some of us are still focused on baseball, others have begun to explore other sports, namely football and basketball. July also means there will be an Olympiad this year, and this week I had the distinct pleasure to talk with former University of Illinois track star and Jamaican Olympic superstar Andrew Riley (right). Riley will compete in the 110 meter hurdles for his native country, something he says "is a very great honor". Riley is very humble, and owes a lot of his success to his coaches, Mike Turk on the men's side, and former Olympian Tonja Buford-Bailey, the women's coach, who has been helping him with the hurdles for the past couple of years. 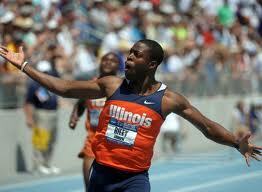 It was actually Jim Angel who recruited Andrew to Illinois, after a previous athlete in Jamaica told him about Riley and introduced him to Angel, the stage was set for him to come to Champaign and compete in the Big Ten. Jamaica is probably more known for their world-class sprinter Usain Bolt, but it will be Riley that will be competing in the hurdles for the small nation. "To represent my country means a lot to me, and it is always an honor to compete for your home nation, your birthplace", Riley proudly admitted. Riley has continued training at the University of Illinois track, and will continue to do so until he leaves for training camp in a week. With the opening ceremonies about two weeks away in London, Riley feels he is ready, but still would like to get the most out of the next couple of weeks. Riley is not the only one headed to London that has Illinois ties. Former Illini basketball standout Deron Williams was named this past weekend to the USA basketball squad, while Robert Archibald, another former Illinois hoops star, will compete for Great Britian's basketball team. The sense of pride of the Orange and Blue being represented across the pond cannot be measured, and if these athletes are fortunate enough to win some medals, that will make the achievement that much more gratifying. New Illinois basketball coach John Groce once again has a complete basketball staff, and judging from the reaction of the latest hire, it seems that it is a match made in heaven. When Isaac Chew was hired two months ago to be the Chicago contact in recruiting, all signs pointed to Groce making a slam dunk hire. However, Buzz Williams came in and made Chew an offer that he couldn't refuse, and all of a sudden, there was another opening. Enter Paris Parham, who spent the last five years at Illinois State as a part of Tim Jankovic's staff in Normal. But when Jankovic was offered a coach-in-waiting position on Larry Brown's staff at SMU, that left a lot of uncertainty with Parham. I also had the opportunity to speak with Parham this past week, and it appeared that he wanted the job all along, even when Chew was hired. Parham also has strong Chicago ties, having played in the Public League, so he is a natural fit for the Illini to get their foot back into the Chicago area. "I would have crawled on my hands and knees backward to get to Champaign", Parham noted when talking about his feeling for the job when it was offered to him. "Initially, I thought I would have been on the staff with Jamaal (Walker), and luckily someone moved out, and I moved in, and here I am", Parham added. So, it sounds like ultimately the right guy ended up being hired, although it will be a few months until we can actually see it working. 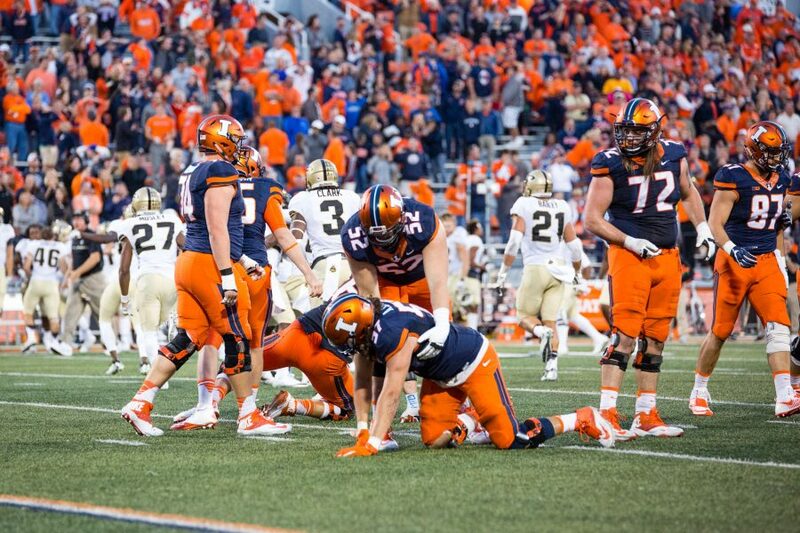 We are now just about one month from the start of Camp Rantoul and the beginning of the Tim Beckman era at Illinois. Big Ten Football media days will take place at the end of the month in Chicago, and I am sure that most of the talk up at the Hyatt Regency at McCormick Place will center around the scandal involving Penn State. New coach Bill O'Brien certainly has an unenviable situation on his hands in State College, and this story, although exposed, is far from over. Stay tuned for complete coverage from media days, as well as a complete wrap-up of the Illini athletes in the Summer Olympics in London. As for now, enjoy the rest of the summer, because fall will be here before you know it!